This handy Ten Inches Golf Target Mat is made from 100% recycled polyduck. 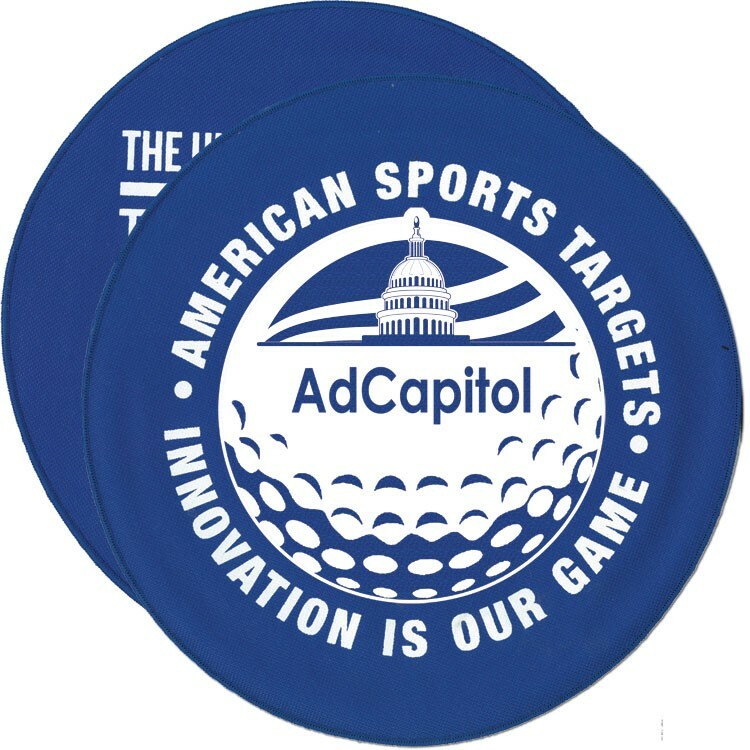 This target is printed on both sides and uses double layered material with a fabric weight to lay flat. Improve distance control on your chip shots and increase accuracy on long and short pitch and bunker shots! Create a consistent practice routine to improve performance while also reducing strokes to shoot lower scores! Perfect gift idea for the golfer in your family.